Today I was fortunate to be with the Legacies of War Voices fom Laos team as we spent the morning at the Democracy Now! studio for an interview with host Amy Goodman. I love how the interview turned out. My friends Thoummy, Manixia and Channapha did a phenomenal job of explaining the legacy of the bombings of Laos, their own personal experiences and the urgent need for funding for clearance and victims assistance. After the interview we headed over the United Nations where Thoummy, Channapha and Manixia spoke again to the legacy of war in Laos. It was International Day of Mine Awareness and Assistance in Mine Action and we were a part of the program. I was glad to run into my old friend Zachary Hudson who heads up the US Campaign to Ban Landmines. Zach used to work at Adopt-a-Minefield back when Clear Path International first got its start. Zach has an uphill battle. Not only has the US not yet signed on with the mine ban, public interest in the landmine cause has been dropping steadily over the past ten years, as the Google Trends graph below illustrates. My friend, Kamel Saadi is one of the toughest guys I know. He was with me in the Amazon Jungle when we were nearly imprisoned or worse when our landmine awareness trip went dangerously wrong. 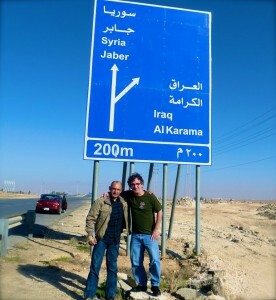 He was also with me in December on Jordan’s Border with Syria. There is a reason why my buddy Kamel is so tough. He is a landmine survivor. One of thousands from around the world that have been faced with losing a limb in such a violent, random fashion for doing little more than straying off a beaten path. Kamel’s story is below, and like Thoummy’s story, it is a testament to the urgency of our cause and why the work of people like my friend Zach Hudson is so important. I was 14; it was on March 16th 1979, around 2:20pm; when I walked up a hill planted with green hay, up north at “Al Mukheibeh” area. In the middle of the hill, I went to climb a rock rather than to step on the green planted hay, and that’s when the mine blew up; when my body was half way up the rock, and my left leg had triggered the landmine without me knowing. I remember falling down, ears sounding the blast over and over and nose smelling nothing but burns; flesh burns, the smell of my own flesh burning. Still, and in spite of this all, my fears rejected admitting the fact that I was hit, hurt, or may be dead; truly I didn’t know, but I stood up trying to race my death; for death was there, but somehow had not come for delivery, yet. I tried to run away, but the limp was hard, I looked behind, beautiful spots of red shattered over the green hay, I stood for a glance, watching, as if the scene was meant to be printed in my head for a certain cause, I didn’t know it then. I didn’t know it would stay with me forever. Two steps I took, and was able to take no more. I laid on the ground, crawled, but no use; my lower part was too heavy, though I was skinny. I was dragging a ship behind me. I called for help, but those nearby fled as if they were looking at horror itself. Two young men cried from a distance telling me to stay where I was; that they were coming to get me. They were my guardian angels in that moment, jumping so lightly from one rock to the other to avoid any other landmines that might be there until they were by my side. They lifted me up, and carried me to safe ground. Yet, still, I hadn’t passed out. Cars with picnickers began to run home, stopping to look at me with fears and tears, too; “poor kid, look what happened to him!”. Some of them offered to take me to hospital with them, but I insisted I’d stay until my uncle comes to get me, so he would be at ease to see I was still alive. He wasn’t really my uncle; he was my father’s best friend since childhood. I was his responsibility for he took me with him and his family to this picnic, and it must have hurt him so much to have seen this happen while he was responsible of my safety. Hassan came with his car, leaving all of his family behind, caring for no one but me. I looked up to this man; he was strong, and very optimistic. Knowing I was with him gave me strength. He was a builder of houses, and had a wooden box in the back of his hatch back Datsun car. I remember I broke the lid of that box out of pain, but without any sound or tears. It was my parents I kept thinking of, how sad they will be! How were they going to take it and what would my father say? I have wonderful parents, but they were going through hard times. We had just been robbed only three days before, and that’s why I went to Irbid to see Uncle Hassan; to take him back so he’d build a wall against the balcony so no thieves will come again. I was up north for a mission, and came back with another. I was to help ease pain, and there I came back with more. The feeling of guilt never left me; perhaps it was useful to take my mind of what had just happened to me. 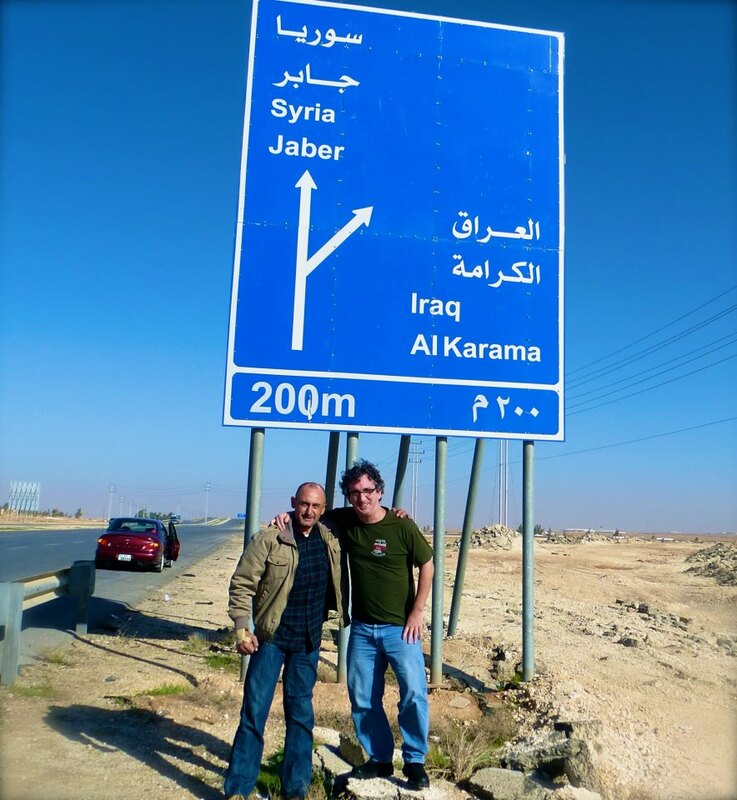 After stopping at a nearby hospital for first aid, I was driven to Amman. Lying on a wooden board in a bumpy ambulance dissolved the effect of tranquilizers had given to me. I had dozed off at first, but unfortunately gained consciousness on the way. I remember cursing at Uncle Hassan who never left me alone, then passing again. On the first entrance to Amman at Suwaileh Circle, there were all the Al Saadi’s; cousins, brother, and of course, my father too. They had already known of the news, and were in wonder; will we ever see him alive again? Dr. Jamal, one of my cousins, whom I owe all to, was a military Doctor Major at The King Hussein Medical City, he tried to stop the ambulance to take me directly to the KHMC, but the nice ambulance driver, thought it was a car accident case which needed an ambulance so he drove through my cozen doctor, and the rest of them. With Amman’s rush hour on a Friday then, at a time where all picnickers were to go back home, it was nearly impossible to get a hold of that slow ambulance, so I ended up at Al bashir Hospital opposite direction of the KHMC. In that hospital, while laying down on a medical bed, my father, brother, and the rest of my relatives were standing around me. I saw them, but I was already out my body at that point, I was up at the top of that hall, free in the air, looking down at them, with a fine blue whitish round gate nearby. I then said to my father with a smile, and comfort in my soul “I am sorry for what I have done, forgive me, you have got Ihab (my brother) take care of him, for I ask you to let me go. Forgive me for what I have done; I didn’t mean for it to happen, forgive me Dad, and please let me go”. I truly wanted to go, the gate was calling, and it was so beautiful not to leave behind, or not to go through it. I needed to go, but their tears, their weakness, and their need of me got me back. I had a taste of something heavenly, and nothing else mattered afterwards. The same night, at the KHMC, I woke up with a nurse by my side, cuddling my head, looking at me with love and sorrow; I asked her if they’d cut off my leg, she answered with a yes, I said “now let me sleep”.